Alvin Dyers’ quartet features Zeke Le Grange, one of the most exciting young saxophonists in South Africa, with Tino Europa on bass and Roy Davids on drum kit. This quartet has played together for many years, performing classic jazz standards, South African jazz and original compositions with a uniquely Capetonian sound, that blends elements of Latin music, Cape Goema, African music and straight-ahead jazz. Alvin Dyers was born in Harfield Village in Cape Town in 1953. He started playing guitar from the age of seven. He formed his first band called Sacred Legion with his equally talented brother, Errol Dyers. He also formed part of the group musicians that played in Pacific Express in the ‘80s. Some of the musicians he has played with include other legends, for example Winston Mankunku, Ezra Ngcukana, Johnny Fourie, Robbie Jansen and many more. 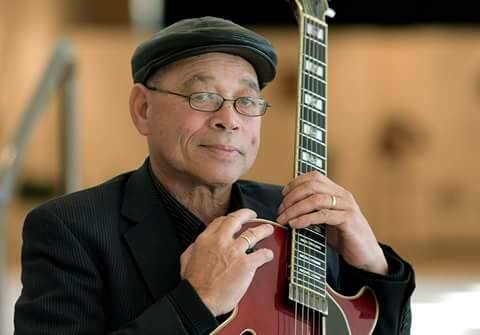 He is currently a jazz guitar teacher at the University of Cape Town where he continues to nurture and inspire another generation of jazz musicians in the province.